Days before Rasmieh Odeh is expected to walk into a Detroit federal courtroom and plead guilty to naturalization fraud, her attorneys are demanding that a judge strike the prosecution's language detailing her direct involvement in two 1969 Jerusalem bombings that killed two people. According to a stipulation filed last week, Odeh has signed a plea agreement with the government. The Chicago-based Palestinian activist was indicted in 2013, with prosecutors alleging that she lied on her application to become an American citizen by failing to disclose her arrest for the bombings along with her subsequent conviction and 10 years spent in Israeli prisons. Truthful and complete responses would have rendered her ineligible to enter the United States, immigration officials said. Odeh was sentenced to 18 months in prison, to be followed by deportation after a jury convicted her in 2014. But in December, U.S. District Judge Gershwin A. Drain granted her a new trial after a federal appeals court ruled she should have been allowed to present testimony that her omissions may have been caused by post-traumatic stress. 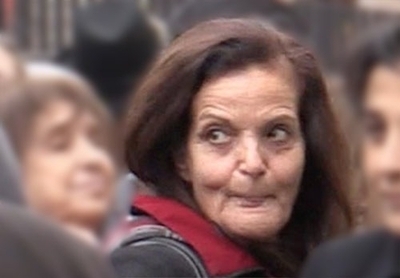 Odeh claims she only confessed to the Jerusalem bombings after enduring 25 days of torture. The resulting PTSD, she claims, may have caused her to think immigration form questions about any criminal history applied only to her time in the United States. There is no evidence to support Odeh's torture claim. To the contrary, records from the Israeli prosecution indicate Odeh confessed the day after she was arrested. Investigators also found explosives in her bedroom. After Judge Drain granted the new trial, a grand jury issued a superseding indictment which placed greater emphasis on her membership in the Popular Front for the Liberation of Palestine (PFLP), which was responsible for the Jerusalem bombings. Regardless of whether a jury would have accepted Odeh's torture/PTSD claims, membership in a terrorist organization is sufficient to deny her entry into the United States and deny her naturalization application. Odeh's new trial was scheduled to start May 16. On Friday, prosecutors filed a memorandum requesting that "additional facts" be added to the record at Tuesday's plea hearing detailing what they say they could have proved at trial. Those additions include Odeh's PFLP membership. They also state that she helped plan the bombing at the Supersol grocery store that killed students Edward Joffe and Leon Kanner and that she "personally placed a bomb at the British Consulate" in an attack that caused property damage but no injuries. Defense attorneys immediately moved to strike the prosecution's memo. Odeh denies the prosecution's "highly prejudicial allegations" and "has repeatedly refused to have such claims included" in her plea, the motion said. The prosecution memo also asks that, at Tuesday's plea hearing, Odeh be specifically asked if she understands she has the right to present the post-traumatic stress testimony that was kept out of her 2014 trial. Those questions would make it clear she made "a full and knowing waiver of all of her rights, including the right to present the specific defense which was the subject of the [appeal]." It is unclear whether the government wants Judge Drain to consider the additional facts in determining whether to accept the parties' joint sentencing recommendation, or whether it simply wants to establish a record of Odeh's terrorist history. At sentencing, the prosecution must prove its allegations by a preponderance of the evidence, rather than the reasonable doubt standard required for criminal convictions. The court may also consider evidence from Odeh's 2014 trial. In a speech earlier this month to the anti-Israel group Jewish Voice for Peace, Odeh described her prosecution as yet "another torturous ordeal." Her case has generated national attention, with campaigns aimed at pressuring prosecutors into dropping the case and support from the Arab-American Anti-Discrimination Committee, American Muslims for Palestine, the Council on American-Islamic Relations (CAIR) and others. Odeh was named as an organizer of last month's "Day Without a Woman" protest.